In case an owner is open to cut you an unbelievable deal by selling his property through a general power of attorney (GPA), an aware homebuyer would outright reject the offer. Through an order in 2011, the Supreme Court (SC) held that transferring property title through GPA is not valid. Before we delve into the SC order and explain the illegality involving property through GPA, let us first understand what GPA is. By giving someone power of attorney (PoA), one gives them the right to carry out certain specific legal and financial businesses on their behalf. It is common practice among NRIs, for example, to give PoA to someone they trust to represent them to carry out their businesses in the country of their origin since it is inconvenient for them to travel frequently. Within the country also, people appoint a PoA to act as their representatives in case they are not able to take the physical exertion because of old age or disability. For someone busy who has numerous assets —businessmen or politicians, for example, who have too much on their plate all the time and can hardly be expected to pay, say, their utility bills — granting a PoA to act on their behalf is nothing less than a necessity. “Power of attorney is a legal instrument that provides ease of doing business to people who may otherwise not able to do so,” says Himanshu Yadav, a lawyer at the Supreme Court. A PoA is of two types, a general power of attorney and a special power of attorney. What differs one from another? “While a GPA grants broad powers to a representative, an SPA talks about a specific act the representative can carry out on the behalf of the principal. If you grant someone a GPA, they can pay your utility bills, collect rent on your behalf, manage and settle disputes, carry out all bank-related work acting as your representative,” says Yadav. “Through an SPA, the principal grants specific powers on the attorney. If you, say, direct the SPA to act as his legal representative in a particular case, it is only in that particular case that the person will be able to represent you,” says Brajesh Mishra, a senior lawyer at the Punjab & Haryana High Court. Also note here that a PoA has to be registered at the Sub-Registrar’s Office to get a legal validity. Another important thing to note here is that a PoA remains valid only till the life of the principal. Within their lifetime also, one can revoke the PoA. An SPA gets revokes on its own as soon as the specific transaction for which it was executed is completed. Having understood the legality involved in PoAs, it is now clear to us that is not a valid instrument to transfer property titles. However, selling property through GPA had become common practice across Indian cities, owing to the monetary benefits it offered, both the buyer and the seller. Typically, a sale deed must be carried out for transferring property titles, following which the buyer has to pay stamp duty and registration charges. The seller will also have to bear the burden of capital gains tax on the transaction. By transferring property title through a GPA, these charges are avoided. “From sellers’ perspective, a GPA makes it possible to carry the transaction even if they do not hold clear property titles. GPA in fact is their only option. From buyers’ perspective, they can afford a property at much cheaper rates than the market price. They can also possess a property which they otherwise might not using this method,” says Mishra. “Legally, an agricultural land could not be sold for residential purposes without converting the land use. Most land owners sell their land parcels without getting into what they call the legal hassle of conversion and sell their land parcels through GPA,” adds Mishra. There are other legal restrictions that prompt property owners to engage in sale through GPA. In most government housing schemes (DDA, Mhada, etc.) where units are allotted on a lease-hold basis, there is a specified gestation period before the allottees cannot sell the property to another party. To sidestep this process, such units are often transferred through a GPA. GPA was also seen as a medium to invest accounted money in real estate. In some cases, members of a family confer property rights through GPA. In many cases, naïve homebuyers fall prey to frauds and invest in properties without understanding the illegality involved in the traction. Stating that “a power of attorney is not an instrument of transfer in regard to any right, title or interest in an immovable property”, the top court directed municipal bodies not to register/mutate properties based on these documents. The SC, however, said that genuine transactions carried out through GPA would be valid. "Nothing prevents affected parties from getting registered deeds of conveyance to complete their title. The said transactions may also be used to obtain specific performance or to defend possession under Section 53A of the Transfer of Property Act," the SC said. Following the order, states banned the registration of properties sold through GPA. "The court's decision will help to curb the circulation of black money to some extent in the real estate sector, where titles are manipulated. Besides, many property transactions where prices are rounded off will be affected," Navin Raheja of Raheja Developers told Indian Today after the SC verdict. After imposing a blanket ban on registration of such properties in 2012, the Delhi government allowed registration in favour of spouses, sons, daughters, brothers, sisters and any other relative or person of trust by registered owners. What if you bought a property through GPA? You may be in “possession” of the property of the property but it in the absence of a registered sale deed, you will not be its legal owner. In the absence of clear property tiles, it would also become almost impossible to sell the property in future, unless of course, you do it through a GPA, prolonging the illegal course of action. What if you plan to buy a property through GPA? Apart from the above-mentioned issues, you would also find it impossible to get bank finance. “As a standard practice, banks do not lend money to property transaction done through GPA. 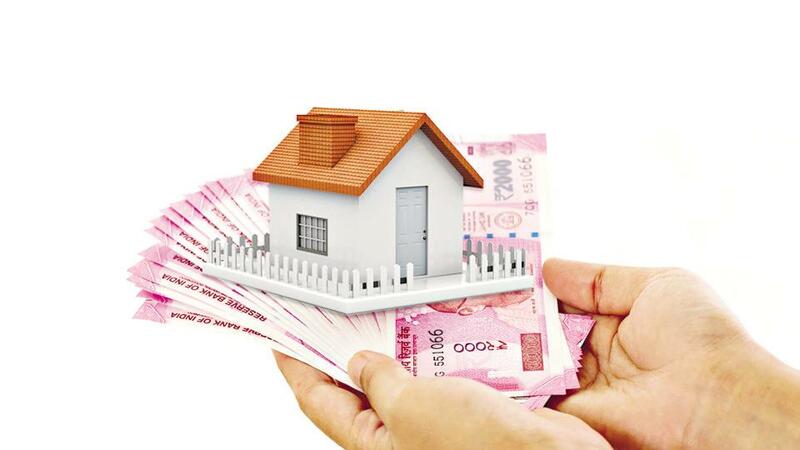 For banks to lend money, clear property tiles are the first and foremost requirement,” says a banking executive working with the State Bank of India. So what powers can you grant through GPA as for as property matters are concerned? By giving a GPA, one can make them responsible to manage their estate, to manage rented properties, pay utility bills and act as their representative in home loan-related transactions. You can also authorise an attorney to register your property through a GPA.